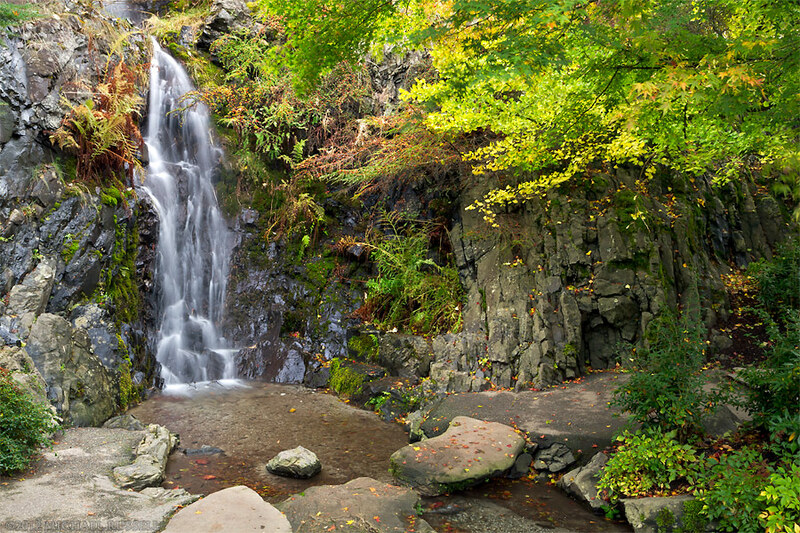 Fall Maple and Ginkgo foliage and the waterfall at Queen Elizabeth Park in Vancouver, British Columbia, Canada. Another one of the photographs I made in October at Queen Elizabeth Park in Vancouver, British Columbia, Canada. I liked the look of this waterfall (enough water, but not too much) along with the fallen leaves and some fall foliage in the Japanese Maple and Ginkgo trees hanging over the pathway. More of my photography from Vancouver’s Queen Elizabeth Park can be found in my Garden Photos Gallery.